Kindly given to MEBO Research by the tester ; Nigel Manning : Principal Clinical Scientist, Dept of Clinical Chemistry, Sheffield Children's Hospital, Sheffield. 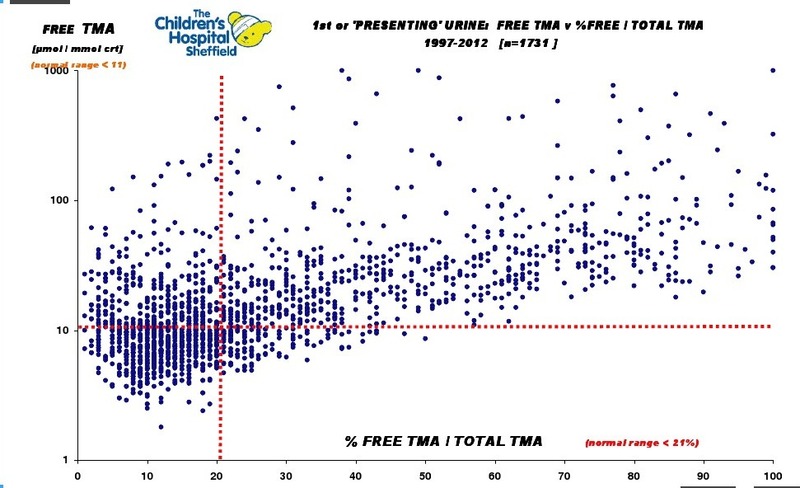 Nigel Manning has kindly given MEBO Research a graph of all the TMAU biochemical test results done by his lab at Sheffield Children's Hospital since his lab started testing in 1997 up until the end of the 2012. 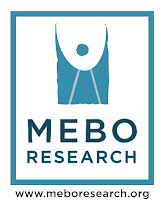 This is an updated graph of one given to MEBO Research in a previous year. So from the graph it can be seen that those in the small square in the bottom left are 'normal'. 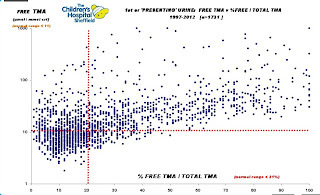 Those above the horizontal red line have TMAU2 (too much trimethylamine), and those to the right of the vertical red line have genetic TMAU (TMA/TMAO ratio too high). In total, 1731 samples have been tested in the graph.